RESIDENTS in Strangford are up in arms at the proposal to build a fence on a jetty in the harbour. They feel that this will cause a huge loss of amenity and spoil the visual aspect of the village. Local politicians have become involved in the campaign over the harbour fence which will in effect restrict free movement of people enjoyed to date such as in angling, boating and sightseeing. South Down MP Margaret Ritchie along with SDLP Councillor Gareth Sharvin met local Strangford residents on Saturday to discuss a proposal for a fence to be erected by Roads Service at the Quay in Strangford. 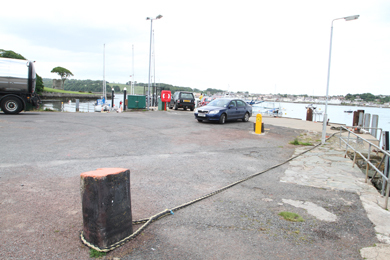 Strangford jetty users may soon be blocked off from public access by a 1.8 metre fence. Ms Ritchie said: “On Saturday last (29 June), I met a group of residents in Strangford who are deeply concerned about the proposal by Roads Service to erect a fence at the Quay in Strangford. Roads Service has submitted a planning application for a fence at the Quay without consultation with the local residents. Having looked at some of the proposed drawings for this fence, there is no doubt that such a proposed fence would interfere with the rights of local residents and dilute the local environmental amenity. “The proposal involves the erection of a new 1.8 metre high Ibex fence with new pedestrian keypad gate vehicular access gates. This proposal came from Roads Service in the form of a planning application. At no stage has Roads Service indicated the purpose of this fence, and there are some suggestions that it may be related to European Union directives. However, so far nothing has been specified. “It is quite clear that this fence would be out of character with the Conservation Area and will impact on the local residential and environmental amenity. Local residents feel that they have not been properly consulted with. The proposed fence will not enhance the area, and in particular it will result in an over development of the site in that there will be a loss of public open space which is now to be used for other purposes. “The separation of the quay by this fence into two distinct areas calls into question the use to which the cordoned off area will be put. Local residents rightly feel that the use of this fence and the way in which it tries to extinguish a right of way indicates that the application should not be approved. Such a fence, if permitted would restrict the access of local residents to the Quay and to the boots moored in this area. “Following my discussion with the Strangford residents, who have justified concerns regarding the nature and purpose of this fence, I have asked for meetings with senior officials in Planning and Roads Service to ensure that the views of residents are properly reflected and they obtain an opportunity to put forward their objections to such a proposal. I will also be raising the matter with the Minister for the Environment to ensure that the developer has submitted an Environmental Impact statement in relation to the proposed development”. A DRD spokesperson said: “The mini cruise ships have been coming into Strangford Lough for several years and disembarking passengers into Strangford and Portaferry to visit local tourist sites such as Castleward and Mount Stewart. “It is a requirement under International Shipping and Port Security legislation to provide a ‘controlled access area’ through which to channel these passengers. Councillor Gareth Sharvin (SDLP) also said: “The planning application process has not consulted the residents of Strangford correctly. There are residents living directly across from the harbour area in question, and who had no knowledge of the fencing until they attended the meeting with Margaret and myself. “Listening to the people of Strangford, they are definitely saying ‘No’ to the erecting of this fencing. What Roads Service and the Planning Service need to do, is talk to the residents and listen to their concerns around the application. If this fence goes ahead, the visual impact on Strangford Lough will be a major negative and it will do little to promote Strangford Lough as a key tourism. This status will be lost. Councillor Cadogan Enright (Independent) said he felt that the DRD were trying to cut the people of Strangford off from the only access they have to deep water on the Quay. He has strongly challenged the DRD’s attempt to fence off New Quay in Strangford following a meeting with members of the village’s community association. Councillor Enright said: “There appears to be a presumption in the application that DRD can ride roughshod over the long-standing use of the Quay by the community in Strangford with no explanation as to the purpose of preventing the community accessing the facilities at New Quay as they have done since time immemorial. “Over the course of any weekend local people and tourists can be observed on New Quay fishing, picnicking, walking, sitting and viewing, photographing, painting, and accessing their boats. The current proposal is a heavy handed solution to an unknown problem, and is probably aimed at setting aside this part of the Quay as a secure compound for other uses than exist at present. There are fears in Strangford that DRD may cooperate with interests that see benefit in a long-standing valuable community asset being converted to a private asset by stealth, added Councillor Enright. Strangford Community Association Chair Diarmuid Riordan said: “People have been coming and going from Strangford port for hundreds of years and we just cannot understand why such a fence is required in Strangford but for example not in Ardglass or Newcastle where visiting vessels also dock. 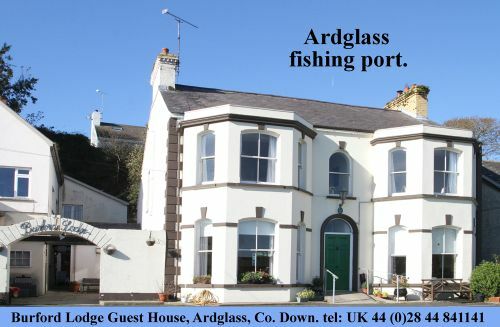 “There is no evidence in the past that cruise ships such as the Hebridean Princess benefits the local economy in Strangford. The idea is that their tenders may dock at the jetty.